He has a free wife living near Stantonsburg. 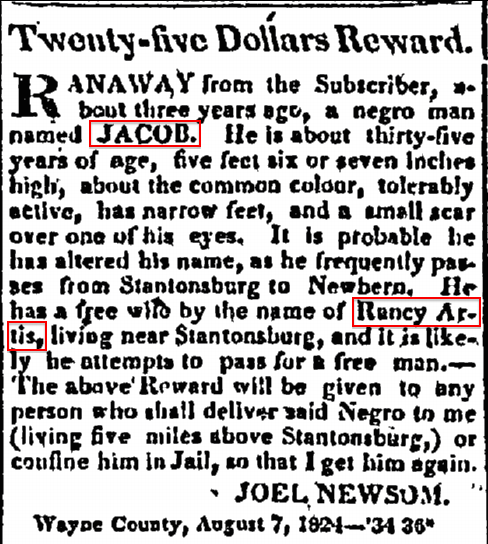 Newbern Sentinel, 4 September 1824. N.B. : Wilson County was formed in 1855 from parts of Edgecombe, Johnston, Nash and Wayne Counties. At the time this ad was published, the town of Stantonsburg was in extreme southern Edgecombe County, very close to Wayne. ← Division of Williamson slaves.